It has been a while since the last post as I’ve been away on a culinary journey in Morocco and also distracted by the occasional sun, which despite what people say, does appear in the UK. 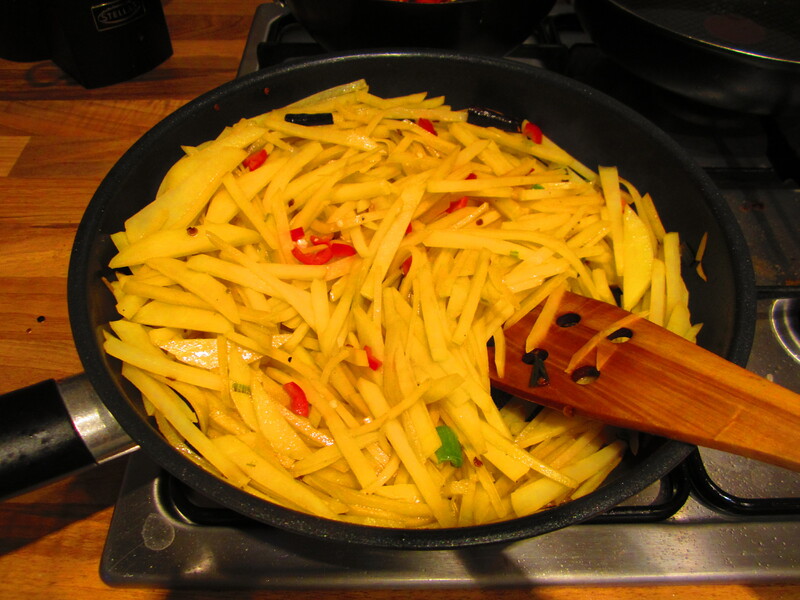 I’ve chosen to returned with another classic chinese dish which is so common and popular it is often referred to as China’s national dish (by mainland chinese people at least)! The history of this probably dates back again to the days of the communist revolution when food was scarce, a situation which didn’t change much even decades afterwards. So people had to make do with what was available, and once again the potato comes to the rescue. Due to the wide availability of potatoes, this dish became a hit! To this day you can find it on most restaurant menus and frequently eaten at home as an accompaniment to rice. 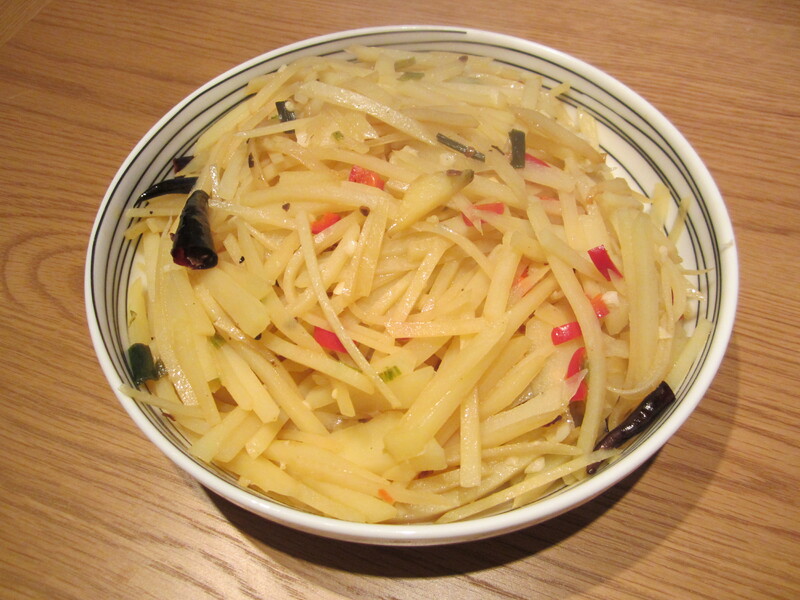 So enjoy this chinese take on the world’s most popular tuber. 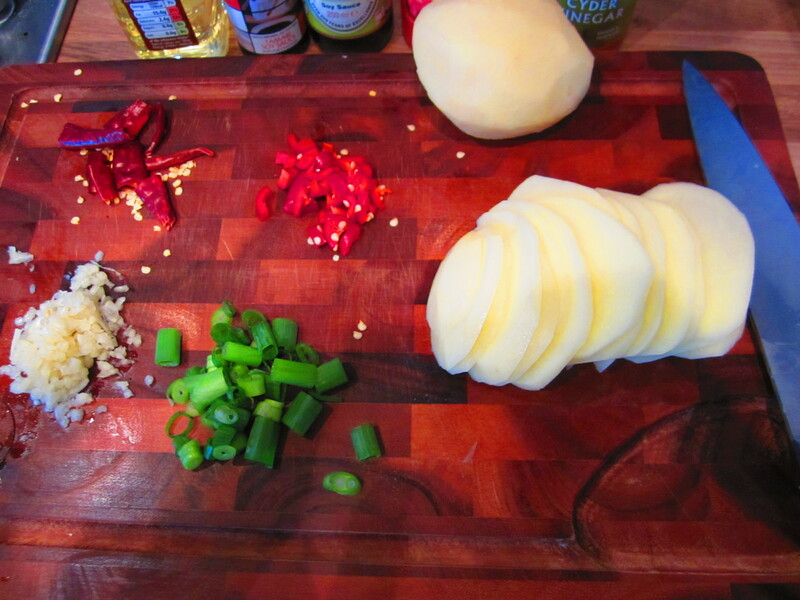 Peel the potatoes, and prepare the spring onion, garlic and chillies. 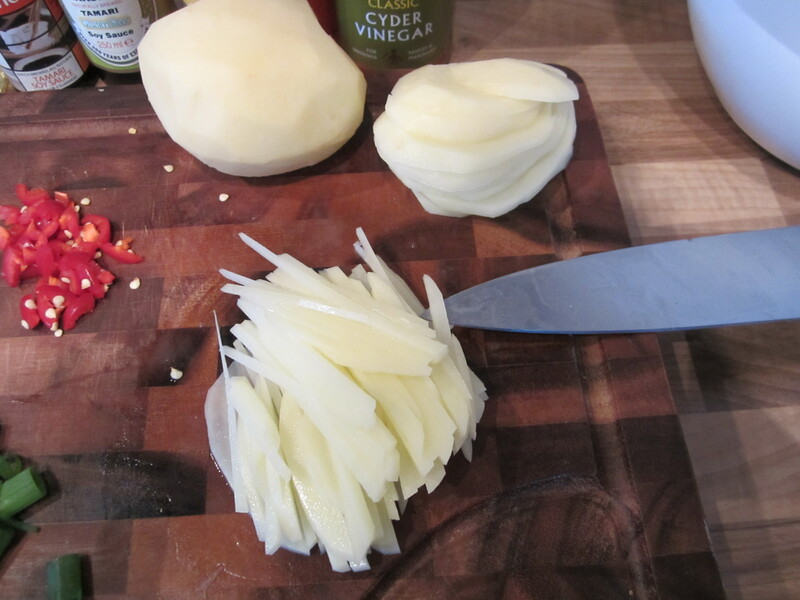 Cut the potatoes into fine slivers, ~ 1.5 mm wide if possible. 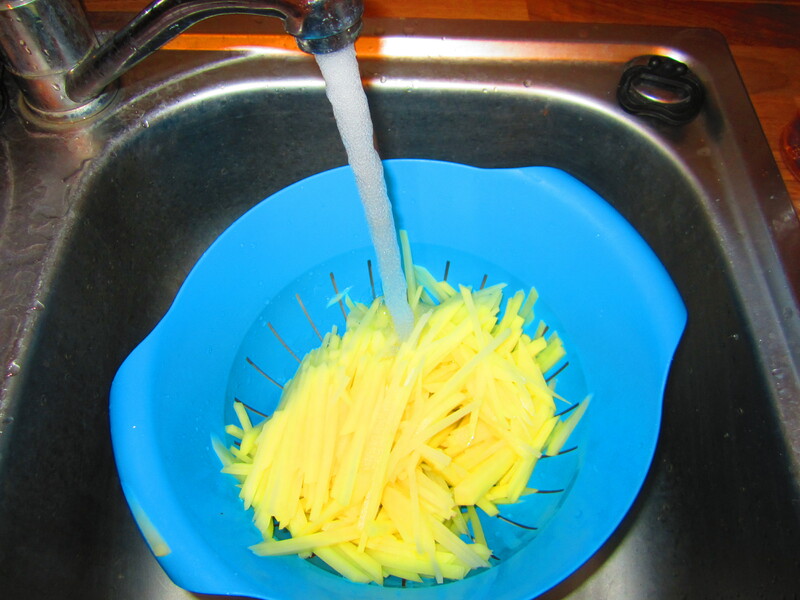 Place the potato slivers into a sieve and wash under cold water thoroughly to remove the surface starch. Let aside for later. Add the oil to the pan and warm on a medium heat. 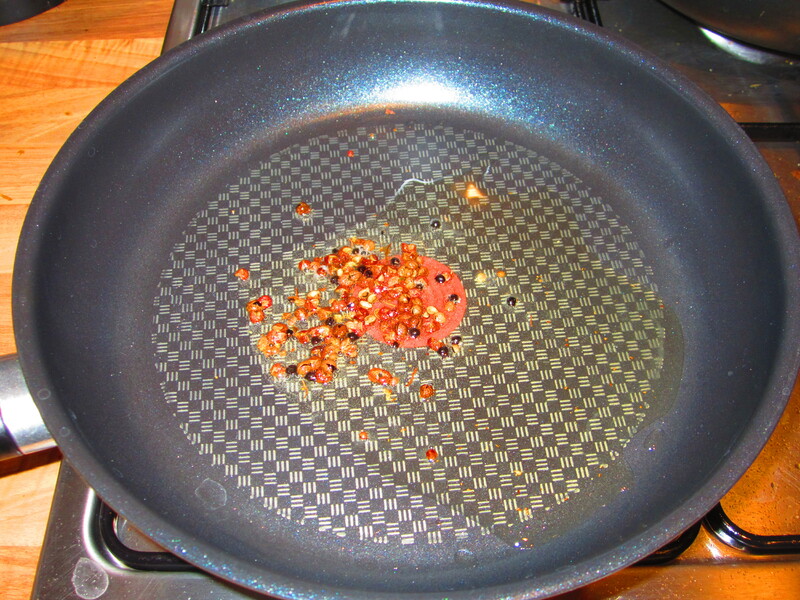 When hot, add the Sichuan peppercorns and heat until the aromas are released. 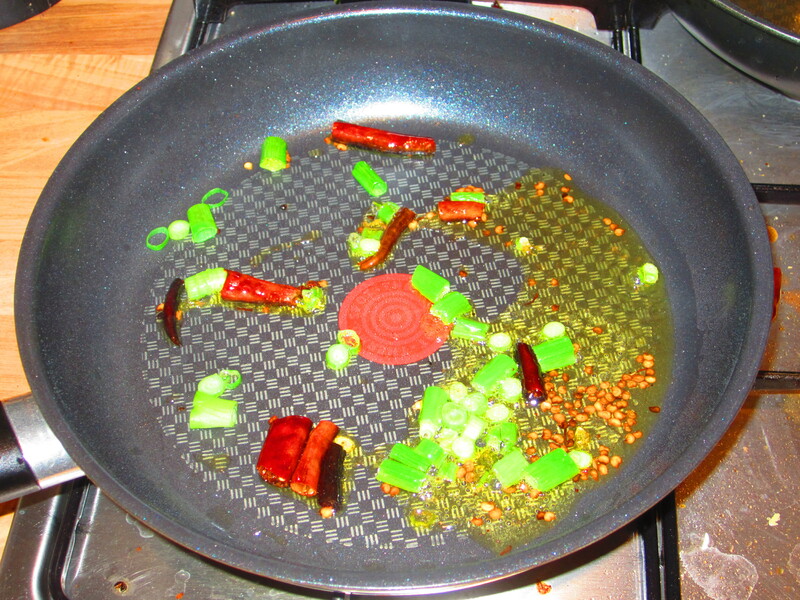 You can remove the peppercorn at this point to avoid eating them later, but this is often not done in China. 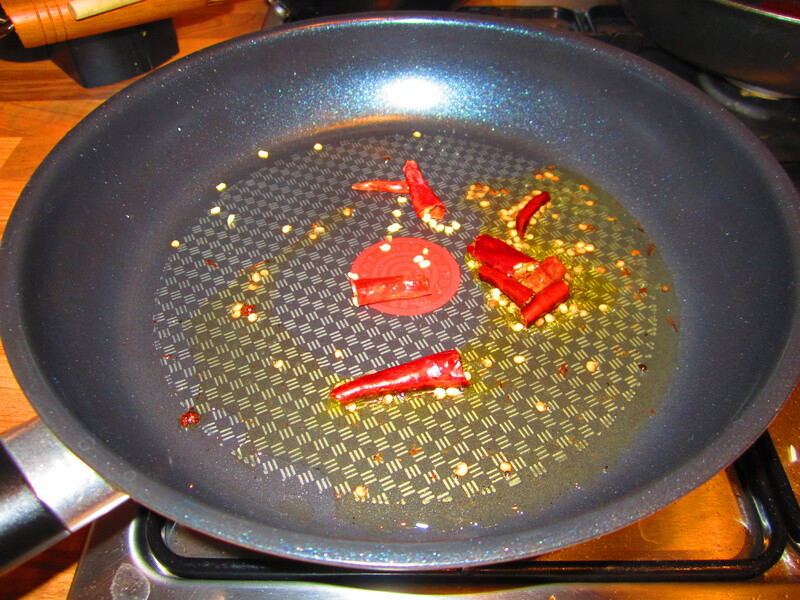 Add the dried chillies and heat for 2 minutes. 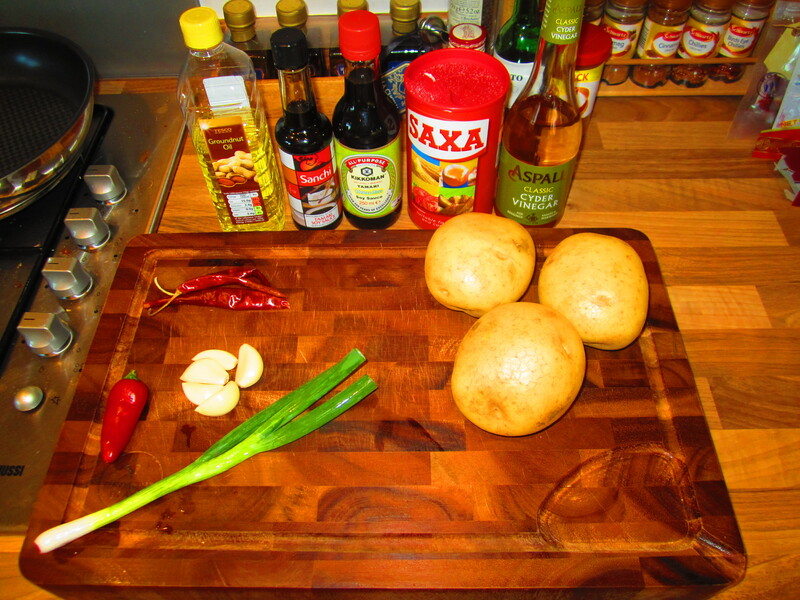 Then add the spring onions and heat for another minute. Add the potato slivers to the pan and turn up the heat. After 1 minute add the salt and soy sauce. 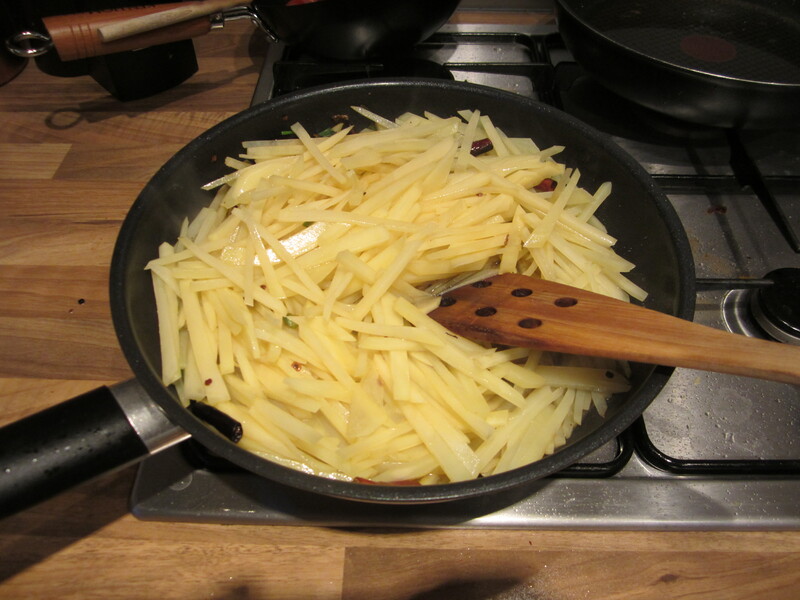 Fry until the potatoes softens and goes slightly opaque. Add the fresh chillies and cook for another minute. Finally remove from heat and add the garlic and vinegar. Mix well in the pan whilst still hot.